Possibly the most striking feature of Sir Peter’s bold vision - instantly recognisable as a Sir Peter trademark - is a St James Red heart motif hand painted onto a Continental Yellow bonnet, a symbol in keeping with the compassionate work of hospices. 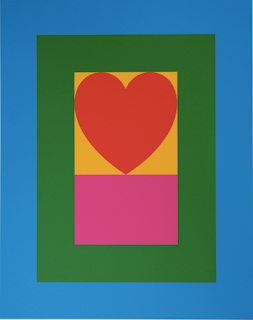 Throughout the exterior of the car, the use of collage - another characteristic of his work - demonstrates bright but clearly defined colour. A St Luke’s Blue - a bespoke colour introduced by Sir Peter, named in homage to Bentley’s local St Luke’s Cheshire Hospice - dominates the cars iconic rear, doors and boot lid, with a British Racing Green lower body, and a Fuchsia pink-coloured radiator shell. Sir Peter’s signature is incorporated onto the passenger side dashboard and is also embroidered on all four seat headrests. 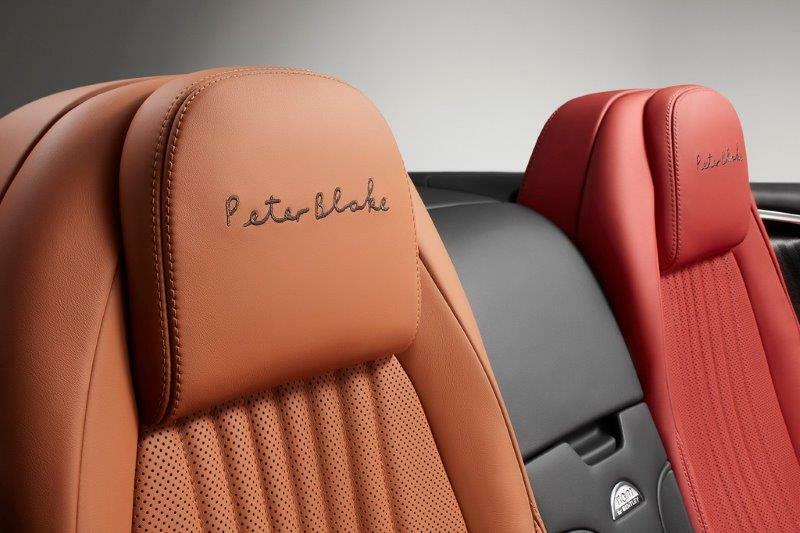 To finish, storage cases feature a Piano Black veneer outer but with Continental Yellow and St James Red internal sleeves to reflect the bonnet colour theme. 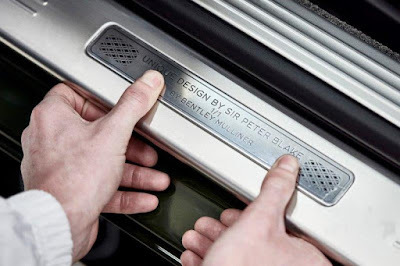 A distinctive treadplate, signifying that this is a Sir Peter Blake design, labelling ‘No. 1 of 1’ finishes the car. These unique features have been produced by Bentley’s specialist bespoke division, Mulliner. 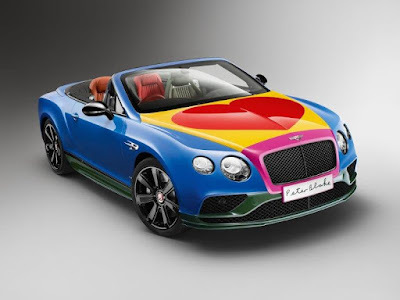 “This collaboration with luxury marque Bentley, world-renowned British artist, Sir Peter Blake, and Bonhams, auctioneers of fine art and motor cars, is the perfect partnership.